Continued growth in an organization is extremely important. Cael Sanderson, a Wrestling Coach at Penn State, said it best, “Unless you continually work, evolve, and innovate, you’ll learn a quick and painful lesson from someone who has.” At GSM Industrial, we’ve taken those words to heart by continuing to stay ahead of the game each and every year. In 2018 we have worked to map out and implement what we’re calling our Go-Forward-Plan, which we’d like to share with you. The goal of this time-bound initiative is to remove waste from our operations while also implementing a value-added structure and efficiency to how we do things. This plan includes many internal process improvements as well as measures to increase our capacity, which in turn will help us to better serve our customers. We are initiating multiple changes in order to increase our capacity at GSM Industrial. First, we needed to make room for additional floor space within our shop by both relocating our maintenance area and reducing our inventory and non-valued added materials. We have prepared an underutilized building to increase space for maintenance and field operations while reducing unnecessary materials. Our next step will be to add a dedicated area for our stainless steel projects by June 1, 2018. This area will be ~7,200 sq/ft (120’ x 60’) and used exclusively for our stainless steel projects. In the past GSM Industrial has had an open environment with both carbon steel and stainless steel projects. By segregating our floor plan, we are able to reduce potential cross-contamination issues and better serve our customers. We intend to install partitions to segregate the work areas, which will help to block dust and give each area space for its own specialty. The area will be cleaned, prepped, and 5S compliant. 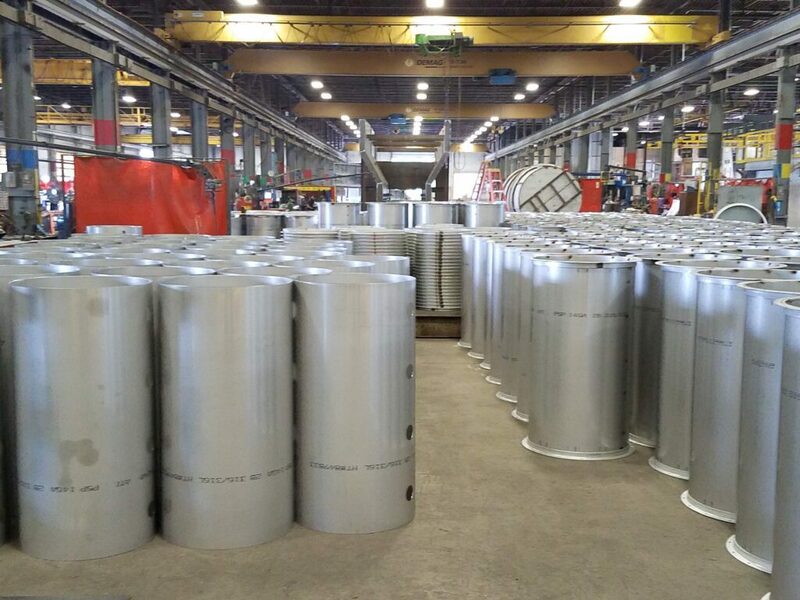 This stainless steel area will also receive additional electric drops along with designated stainless steel tools, welding stations, positioners, and other fabrication equipment. While we work to optimize our operations in a way that works best for our customers’ projects, we will also be making some additional process improvements in-house. These include the implementation of value stream mapping to improve both the flow of materials and on time delivery. We will also be developing a standardized form to assist with the integration of our Enterprise Resource Planning (ERP) system. This will help new employees, or those with a question to better work with the system. And we are standardizing our project plans and kick-off meetings going forward. We’ve also worked hard to increase our safety precautions for not only our employees, but our customers and contractors as well. Be prepared the next time you visit a work area within our facility because steel toe safety shoes are now required. Learn more about our safety culture here. At GSM Industrial, we embrace continuous improvement as a way of doing business and we truly believe transparency is the best policy. We feel strongly that these initiatives, especially the addition of our dedicated Stainless Steel & Assembly area, will make an impact on our current and future customers. If you haven’t been to GSM Industrial in awhile don’t hesitate to give us a call to schedule a shop tour to see these improvements first-hand! We are excited to continue moving forward with these initiatives in 2018! If you’re ready to discuss how we can help tackle your next project, contact us today.